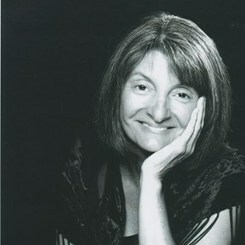 Linda has been providing quality piano instruction to the Northwest Valley for over twenty years. She is a member of several professional teaching organizations including the following: Phoenix Music Teachers Association, Arizona State Music Teachers Association, and the Music Teachers National Association. Linda began her music performance career at a young age of twelve when she played as the church accompianist. In addition, her experience over the past forty years have included playing for weddings, choirs, professional accompanying of vocalists, instrumentalists, and ensembles. Linda's teaching philosophy is that every student - child or adult - should learn to play to whatever capacity he or she is able and should have fun doing it! Linda strives to make this a positive learning experience and therefore will tailor her teaching method to best suit the needs of each student. All styles of music are taught from classical to country, from jazz to pop hits, and from traditional church hymns to praise & worship. Linda has taught children as young as four years old up to adults well up in age. Every student is welcome in her studio regardless of skill level...from beginning to advanced! Request Lessons with Linda today!